Dramatic movie trailer music, folk songs and string quartets would be nothing without the lively, sweet and often introspective sound of the violin. It is this varied nature of the instrument that inspires thousands of students to take up learning the violin every year. 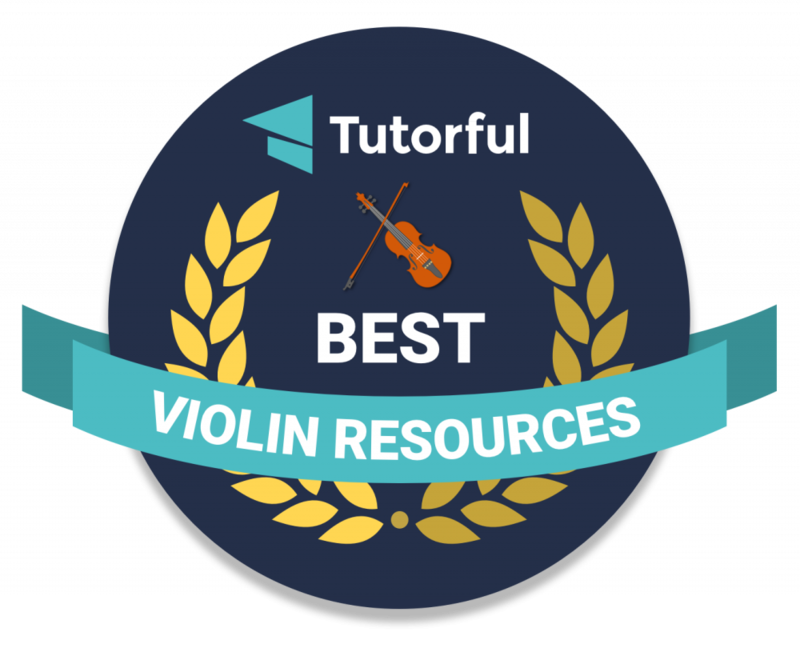 We wanted to find the best way to learn the violin online and discover resources that could help you alongside tutoring or other music education. If you’re eager to pick up new violin techniques, learn music theory and discover inspirational musicians to motivate your music-making then you’re in the right place. 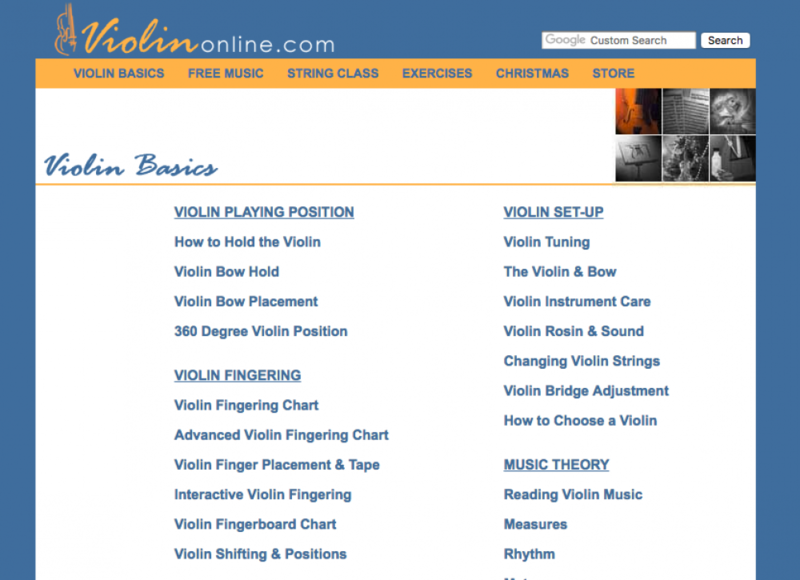 To start with, you'd really benefit from finding a top-rated expert online violin tutor. Drop your favourite tutor a message with what you'd like to achieve to see if they can give you a great headstart with your violin learning journey. In fact, just 2 hours with an online violin tutor can help you learn faster than any other online platform. We’ve found the best place for online violin lessons, apps to learn the violin, standard violin tuners for beginners, Youtube channels to learn the violin online and even blogs and magazines to spark your musical imagination! Know what you're looking for already? Check out our handy quick links below! BandBlast provides free video lessons by the world's best Philharmonic musicians along with fun character-based games that teach rhythm, pitch, and performing/recording. Everything follows the first year curriculum taught in the majority of band and orchestra programs and offers a gamified approach to better engage students with music and help support teachers and schools. We believe every child deserves access to music education. The app has significantly boosted engagement with students and been a helpful resource for teachers. 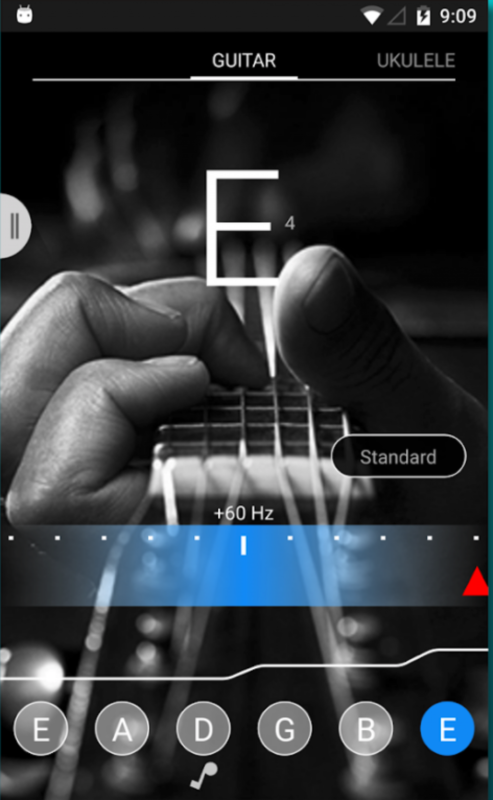 The Master Violin Tuner app was developed in 2017. It has rapidly grown in popularity thanks to its unique algorithm, which precisely recognises the sound of the violin. Focusing only on violin increases the speed and efficiency of sound recognition and analysis by ca 40%. 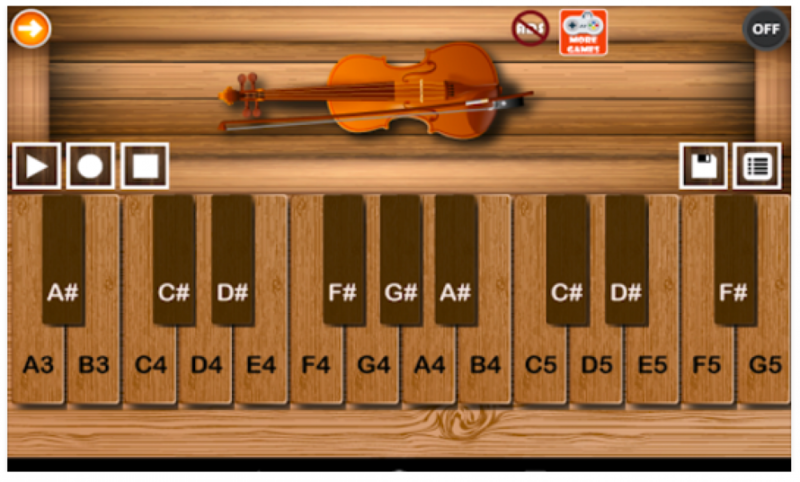 A bright and intuitive app for every violin beginner learning online or face-to-face! This violin application is a serious application for everyone who wants to practice violin music, without an instrument to hand. 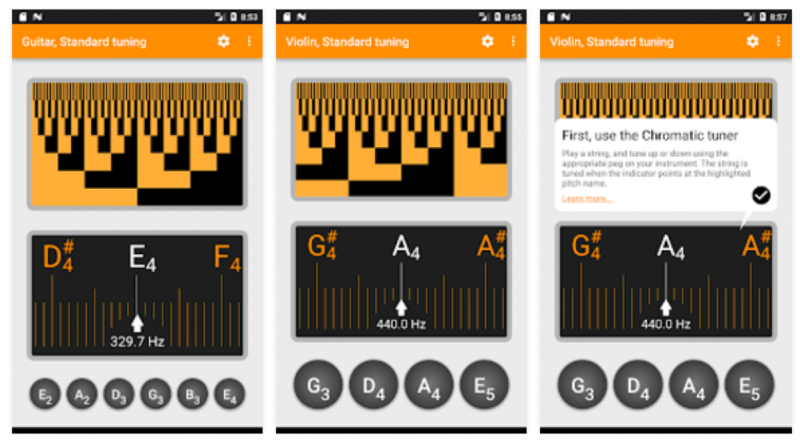 This is a virtual violin application for android mobile phones and tablets with high-quality sounds from a philharmonic orchestra, and a multi-touch feature that lets you play chords. 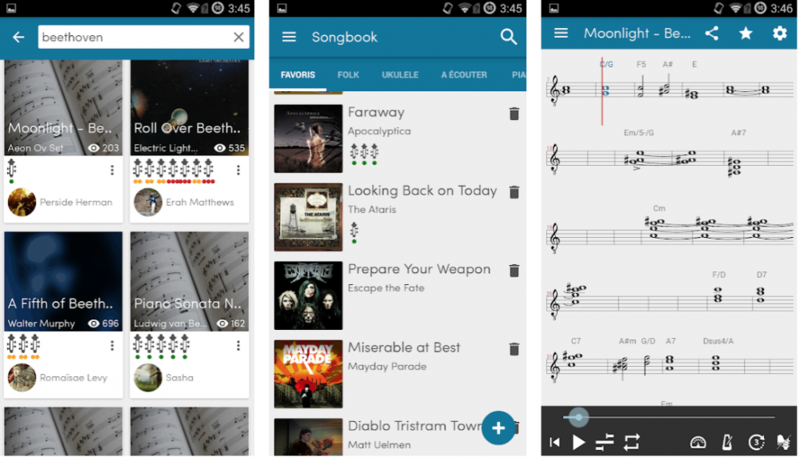 This app was designed and developed entirely for violinists, which makes it stand out from a crowded competition of sheet music platforms available. You'll have access to 1000s of free, awesome quality violin sheet music with video covers on the intuitive and interactive app. If you're a confident musician and see yourself as quite the composer, or want to see how accurate your sightreading abilities are, this app is ideal. 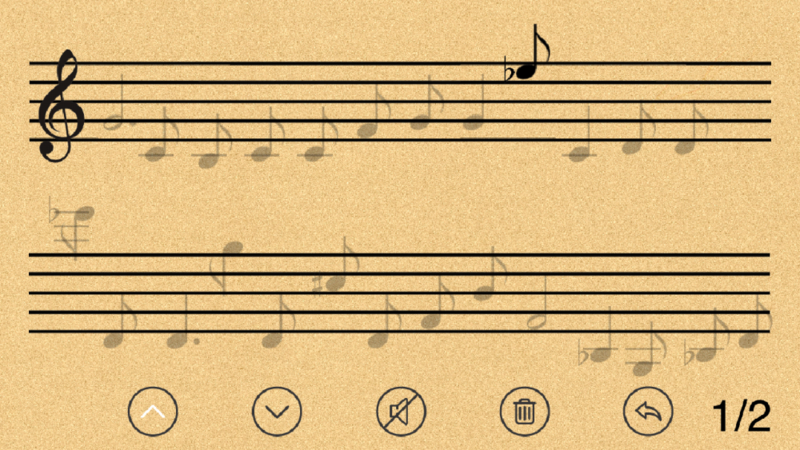 Pentascore transcribes what you play into sheet music. What's more, it was created by a violin student who also understands the difficulties of practice! 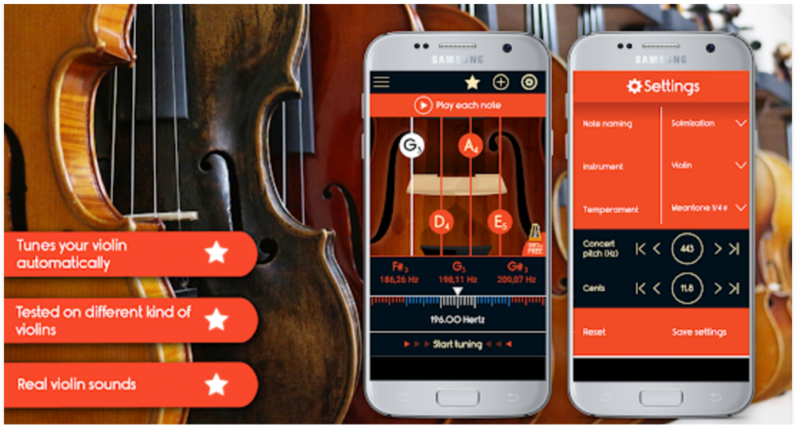 In two years, this app has become one of the top violin tuners on Google Play, and helps tens of thousands of people to develop their violin skills: The algorithms are fast and accurate, and consequently usable not only for tuning the violin but also for checking intonation during practicing. This app is great if you're wanting to learn the violin or practice on the go. With an authentic violin sound, up to 36 rhythm styles, 2 octaves and pitch, and vibration variation interactivity, you'll find yourself choosing to spend your free time making music on your phone! If you're a violin beginner, there's a chance you haven't figure out to tune your instrument by ear just yet (don't worry - tuners are always acceptable). This tuner is perfect if you're looking for a standard tuning and alternate tuning. It's intuitive, easy to use and of course, super lightweight for when you're lugging around other equipment! This accurate app was designed by musicians, so trust that it'll be just right for all your requirements as you begin learning the violin. 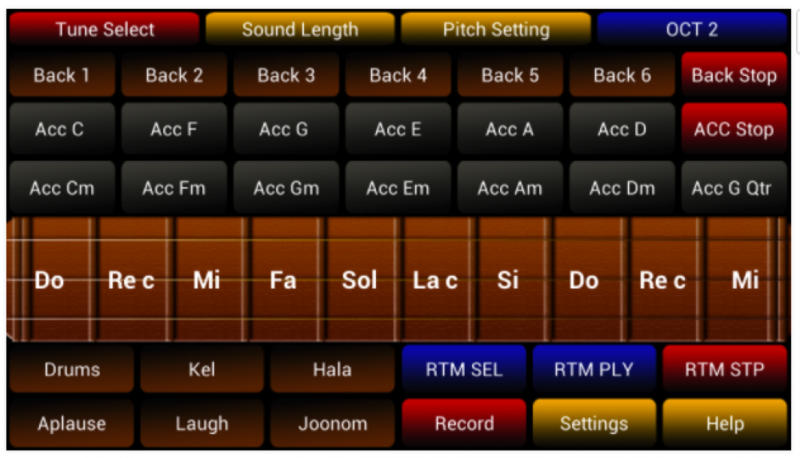 It's really simple to use and includes great features to give the app an edge over other tuner and metronome duos on the market. You can record on the app, set sound, flash, vibration and visual beats and uses a black screen battery-saving mode for when you're playing away from home. Historically, learning to play the violin has been quite a battle for young children, but Jameasy helps mitigate the challenge. 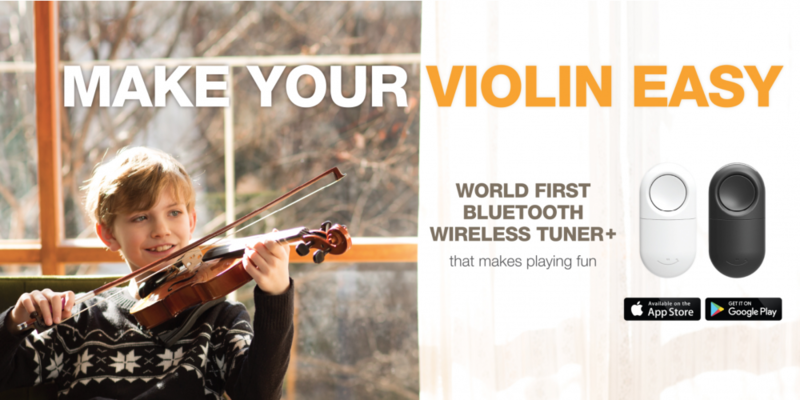 This small gadget connects to almost any violin and helps gauge how well and accurately a musician plays.The device connects to a mobile app, which contains lessons on finger positions, reading music and other necessities for playing the violin.The meat and potatoes of the app, however, are its musical selections, which range from Bach to Coldplay and help you learn Violin. The device doesn't only recognise the pitch of a sound, it has an interface that makes an acoustic violin into a game machine. With Jameasy, children's concentration on their lessons improve, and they may even begin to practice by themselves. 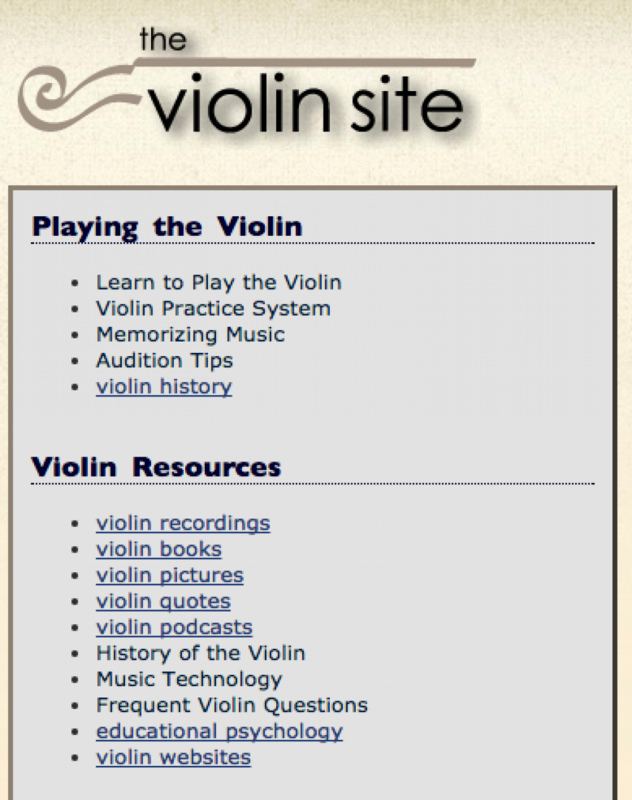 This website provides an enjoyable and comprehensive approach to playing the violin. 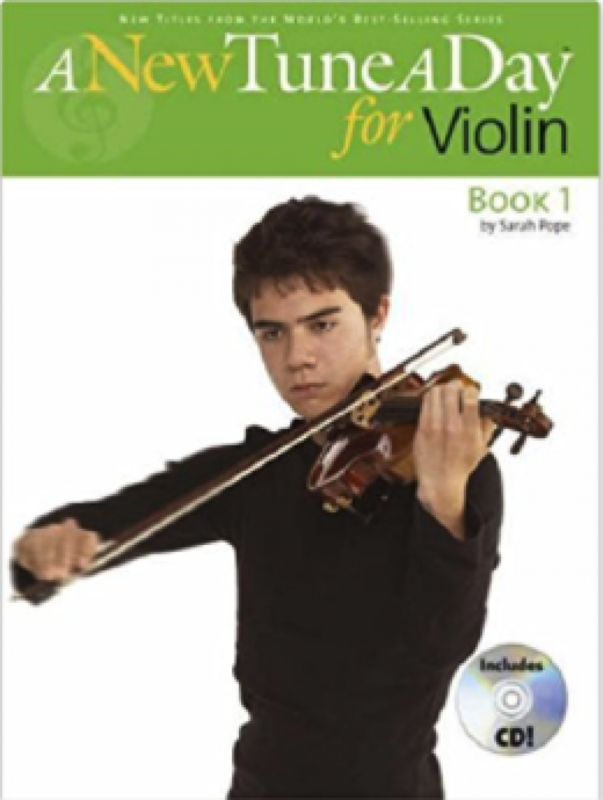 It is designed for beginners to violin of all ages, with a variety of learning options dependant on your style of learning, good quality instructional resources and easy access to free music! 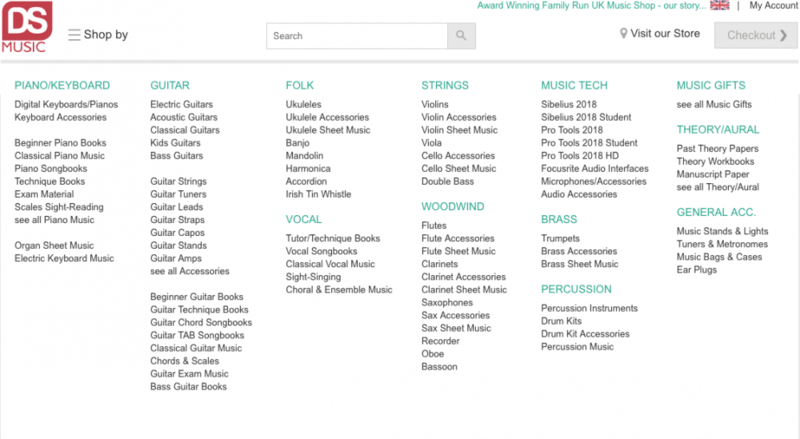 The Violin Site has a whole host of useful violin information; from violin pedagogy to useful how-to guides, to free sheet music, all the way to the must-have accessories for violists. The site is ideal for beginners and experts alike, with a variety of high-quality learning resources for all ages. Not only is all the music on the site absolutely free, but the breadth of the music they share is vast enough to suit any skill level or expertise or playing style. Violinists can find music from a wide range of genres, from intricate Mozart pieces to nostalgic Lion King scores. The Musician’s Friend is a hub for all things violin! Beginners can feel at ease as Musician’s Friend provides a helpful buying guide to alongside their wide range of violins, or pros can upgrade their Cremona - 500 series to something a little more snazzy like a Bellafina Bavarian Series. With accessories and more, the site is easy to navigate and we feel takes the stress out of starting out. 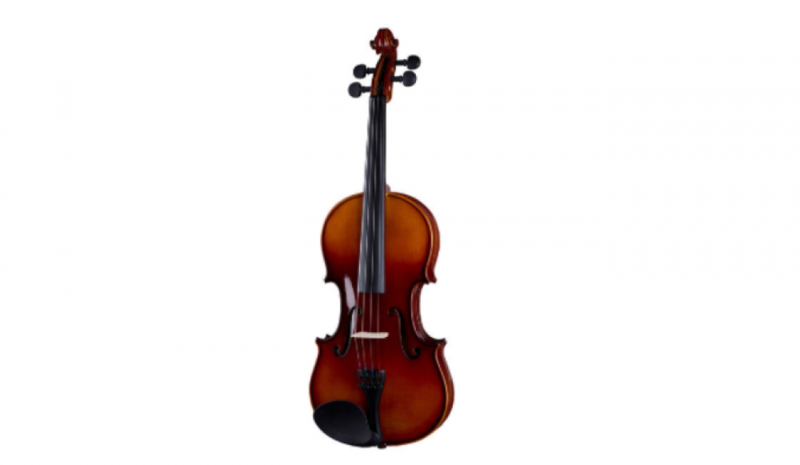 DS Music is an independent online store, that sells violins, sheet music, and accessories. As independent specialists, they aren't tied to specific publishers which makes their range of sheet music pretty wide-ranging. They even have a dedicated sheet expert waiting in the wings to source hard-to-find sheet music from all over the world. The Volin Blog is the brainchild of Stephanie who can connect so easily with parents, educators, and musicians - because she is one! Her writing is wonderful, as she knows the challenges of learning, teaching, and nurturing the practice of playing an instrument firsthand from every perspective. 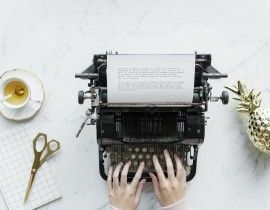 With everything I post on my blog, I am always questioning "can anyone, no matter their musical background, understand and apply what I am writing?" My goal in life is to bring music into every home and help it become a lot more enjoyable along the way for everyone!" 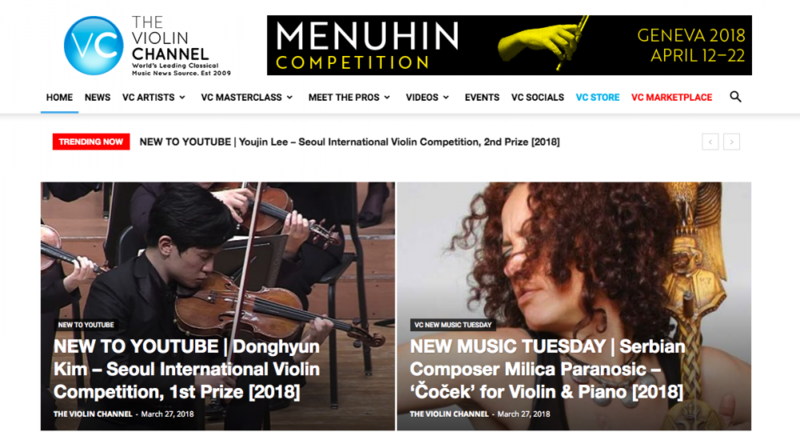 The Violin Channel is a world-leading classical music news website, with great content for every aspiring violinist. Meet the pros, check out their videos and browse interviews with experienced musicians and up-and-coming stars. 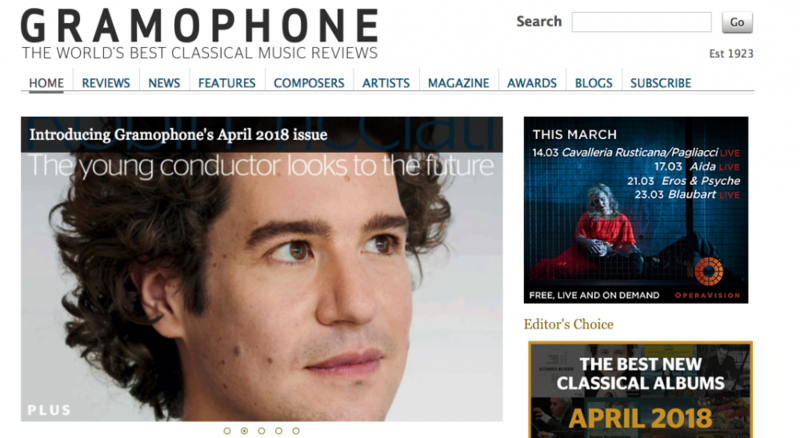 If you're interested in classical violin, then Gramophone should be your go-to destination for fearless classical music reviews. Captivating interviews with world-leading classical musicians will make you more motivated than ever to pursue your violin dreams, and expert articles will give you an insight into the fast-paced world of professional classical music. The electric violin has rocketed into popularity within schools over the past 10 years, significantly following the success of pop string quartet Escala who rose to fame on Britain's Got Talent. 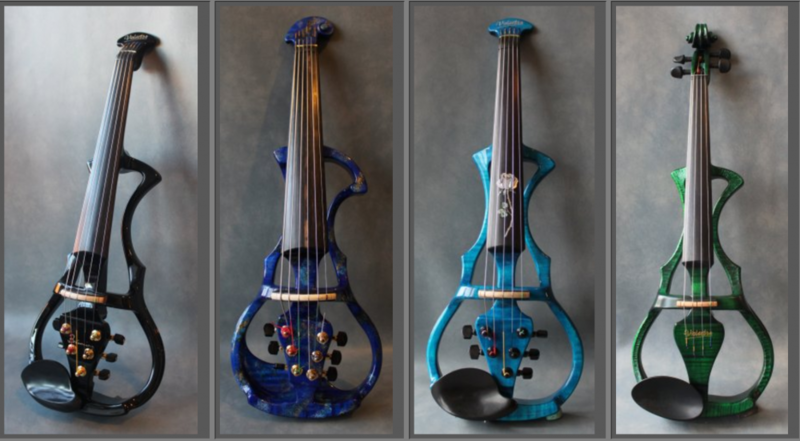 On Violectra you'll find some pretty awesome electric violins, alongside interesting information and videos of professional musicians who use each instrument to create their unique sound. Learning violin isn't easy, and it can be incredibly daunting going it alone. 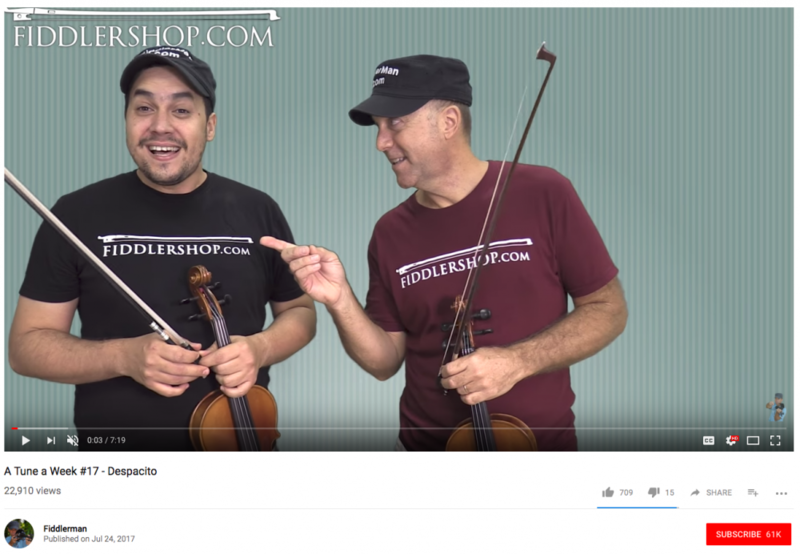 Pierre Hikstein AKA Fiddlerman creates wonderful tutorials to help you play new songs as you improve your violin technique. With over 25 years of professional music experience leading sections and touring in orchestras across America and Europe, he certainly has the expertise to help you learn and improve your violin skills. Check out his recent series “A Tune a Week” featuring requests from viewers. There are a plethora of amazing violinists who exceed Lindsey's abilities. She would be the first to admit that she is not among the best violinists in the world. She would readily admit that she isn't the best violin teacher in the world. But Lindsey has demonstrated, through her music and success, that you don't have to be "the best" at what you do to be "the best" YOU. Educators, students, and the masses connect to Lindsey and her message because it teaches tenacity, virtue, love of others and of oneself, inspires artistic expression and beauty, embraces authenticity, and encourages non-conformity in a world that tends to compartmentalizes people (and everything else) into boxes. Lindsey chose not to believe those who told her she could not succeed as a dancing pop-violinist. Despite being told "no" over and over again, Lindsey believed that the "impossible" was possible. And then she proved that the "impossible" was possible. Her goal is to show the world that you don't have to sacrifice or compromise who you are to be successful. On the contrary, true happiness and success comes from living and becoming your best self, which Lindsey exemplifies. Her hope is that others will take courage from her life and music, changing the world around them. That is the kind of education this world needs...the kind of movement that truly has the power to make a difference. Alison is a proffesional musician, performer and teacher based in Norfolk, UK. She creates free youtube violin video tutorials along with the added bonus of free sheet music to guide you through practice. You'll also find great tips on the best violin techniques and astounding violin performances! What would learning music be without inspiration? 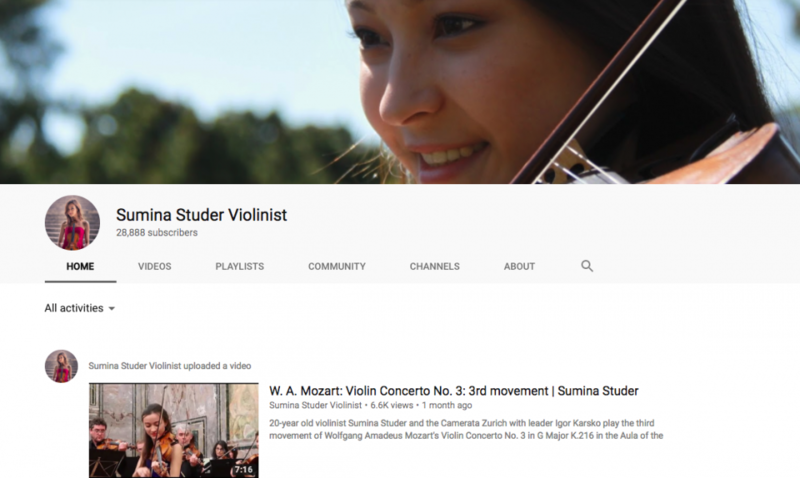 Sumina Studer is a technically outstanding solo violinist who has earned recognition for her music making as a prizewinner of the 2017 Michael Hill International Violin Competition, the Verbier Festival “Prix Rotary” Verbier St-Bernard prizewinner, as the chamber music prizewinner of the 2017 TONALi-Violin Competition and much more. Her flawless sound will inspire you to persevere with your violin practice and show you the rewards of good old hard work! The Strad magazine provides a great mix of educational content for string players of all abilities and ages. From tips by leading teachers on basic technique and masterclasses by top soloists on core repertoire to advise on improving stagecraft and choosing the instrument that's right for you, they offer first-rate practical guidance aimed at helping readers to become the best musicians they can be. Published worldwide, The Strad has a truly global outlook and feature inspirational interviews with international performers and articles on great names of the past. Established in 1890, they have been at the forefront of string education for 128 years, but are also a forward-looking brand with print and digital editions, an active and popular presence on social media, and a lively website, updated daily with news, videos, and blogs. Strings supports players of violin, viola, cello, bass, and fiddle with content designed to enhance their musical growth, strengthen their connection to the larger string community, provide deep musical knowledge, and celebrate their identity as musicians. Players of all levels and musical styles are welcome and appreciated in Strings. We understand the key role inspiration plays in pursuing excellence on a stringed instrument, and are always looking to nourish the whole musician with features about the music, history, instruments, and personalities that shape the string world; lessons about technique, performance, and instrument care; reviews of new editions and recordings; and news pieces to keep our print readers and online audience in the know. Violinist.com covers the classical music industry, with the latest news, reviews, and interviews for violin beginners, performers, teachers, and fans. Over 25,000 violinists have signed up to the site, allowing them to post articles and discuss all things violin. 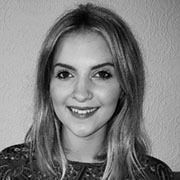 Brecklyn is a composer, violin teacher and blogger, on a misson to help busy music teachers and parents of aspiring violnists. She provides free tools, resources and inspiration to reginite their love for music and spark success in their students. When played as a folk instrument, the violin is typically refferedto as a fiddle. And though not all violinists will be accustomed to the genre, this blog is one to check out even if you have a slight interest in the sound. 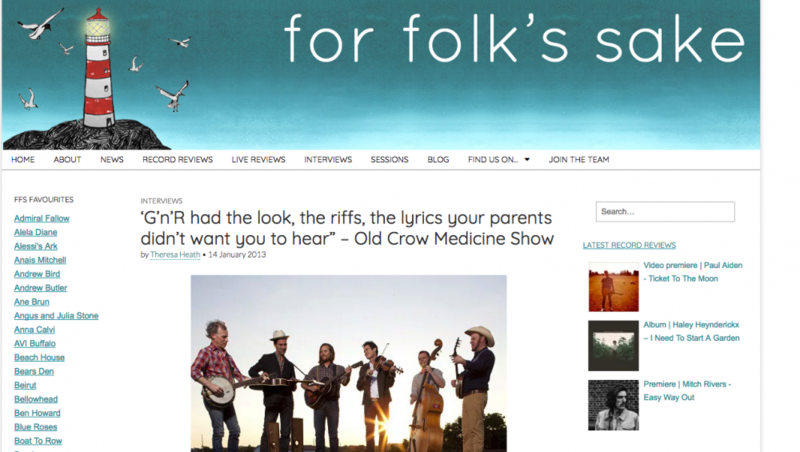 For Folk’s Sake is a UK-based blog run by a team of music enthusiasts, with awesome articles on folk, country and roots music – and much more to keep you entertained! 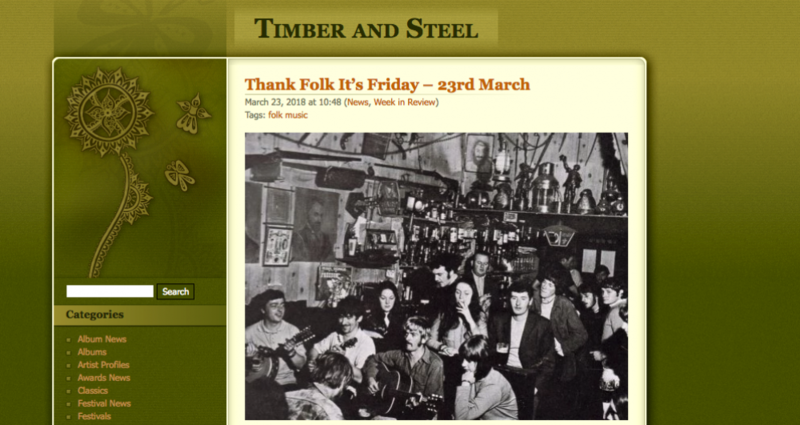 With a focus on folk music which falls through the cracks between the Trad and Indie scenes, Australia based Timber and Steel will bring you the best in international nu-folk and acoustic acts. 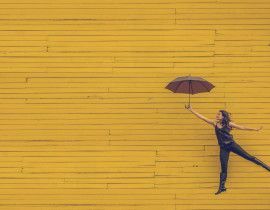 Their weekly Thank Folk It’s Friday roundup includes all new folk music news, new releases and gig recommendations down under! Shar Blog @ Shar Music.com creates insightful and considered pieces about violin topics. Titles include; ‘Birthplace of violins’ and ‘String teachers: Business as usual of a breakthrough year.’ Combining violin discussion with related topics like education, the blog is able to share valuable tips to help those struggling with their practice sessions, or those looking for tried and tested structures. Well established and easy to digest! This blog covers a range of topics including artist news, learning, and most importantly for all budding professional musicians - music careers. The pieces are incredibly tangible, and are grounded in practice - ‘strength exercises for violinists,’ can only come from those who understand the impact of violin on the body! It’s clear that String Ovation are experts in their field. A musical charity seeking to promote the benefits of music on people’s lives. These guys do a great job of bringing music to people of all backgrounds and ages, by donating instruments and tuition and offering free learn to play experiences. Check out their site! The Associated Board of the Royal Schools of Music forum is full of frequently asked questions, with answers coming from violin enthusiasts from around the world! 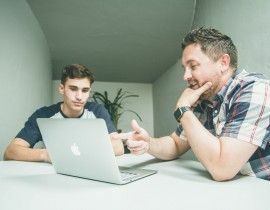 ABRSM really are the pros and they have created brilliant support tools; putting together comprehensive guides for top apps and practice tools, tips for coping with exam nerves, and a handy exam guide. A New Tune a Day has been rewritten and now includes new music and up-to-date instrumental techniques, equipment advice, posture and technique instructions. The book follows a gentle, and logical pace, paying great attention to detail. The inclusion of an audio CD, that contains actual performance and backing tracks, makes it fun and exciting. 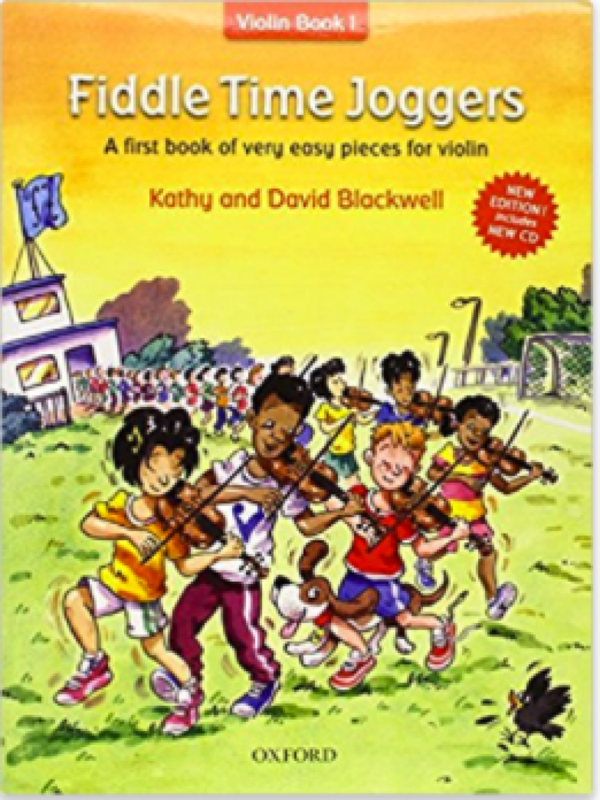 Perfect for beginners Fiddle Time Joggers, the series is paced and organised in such a way to ensure that the learner builds their confidence with each practice. This latest edition comes with a new CD, packed with original tunes as well as better known tunes and easy to accomplish duets. 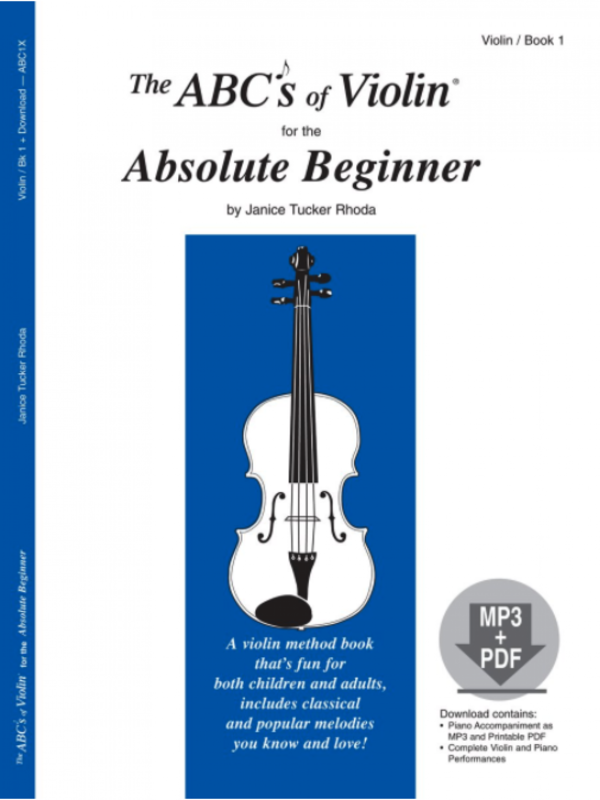 Janice Tucker Rhoda’s best-selling series ABCs of the violin for the Absolute Beginner now includes a special CD that features 34 performance pieces of violin with piano accompaniments and a printable pdf file of piano accompaniments. The book is easy to understand for beginners feeling overwhelmed by the learning process. The Stagg VN Series Student Violin represent excellent value for money for an instrument traditionally handcrafted by skilled makers and feature top quality solid woods and materials throughout, making them ideal for beginners and experienced players alike. The Violin Company specialises in properly set up violins for young or adult beginner students right up to grade 8 and above. They pride themselves on selling good value violins with a high level of Set-up ready for you to play. There is no extra charge for this, it's all part of the Violin Company Service. A long-standing establishment, The String Zone is the go-to store for violin strings, having served over 100,000 customers, they provide an easy and competitive service. There are plenty of options to help you find the perfect strings.